If you live in Southern Maine, you know that it is important to check for ticks when your pet comes in from outside. We've been battling blacklegged ticks (also called deer ticks) long enough to know that they're bad news. They spread Lyme disease, which can affect dogs and humans, and lead to lifelong medical complication. But, there is a new tick in town that is about to push blacklegged ticks out of the "Lyme" light. Here's what you need to know. We are beginning to see an increase in Lone Star ticks in Southern Maine and it has researchers from the Maine Medical Center's Research Institute concerned. Why? Because, like blacklegged ticks, the Lone Star tick is associated with an illness that can have lifelong medical implications. It's called the meat allergy. Alpha-gal is a carbohydrate found in the cells of the meat we consume, like beef, pork, and lamb chops. Poultry that has been injected with natural flavorings may also contain alpha-gal. People with the meat allergy are allergic to alpha-gal. If your nose runs after you eat meat or you develop a rash, stomach aches, headache, nausea, or respiratory issues, you may have a meat allergy. Severe symptoms include vomiting, asthma, and anaphylaxis, which can be life-threatening. These symptoms can be produced by meat from any mammal, from cows to whales. People are not born with an allergy to alpha-gal; they acquire it. And, most instances of meat allergies are the result of tick bites, in particular, bites from Lone Star ticks. Have you heard of the term galactose intolerance? The "gal" in alpha-gal is galactose. So, while you might not have heard of the meat allergy or alpha-gal, you've probably heard something about this illness. It is widespread across the country. So, the increased appearance of Lone Star ticks in Southern Maine is something we should all be concerned about. Not every bite from a Lone Star tick will result in an allergy to alpha-gal, but why take the chance? Plus, a bite from one of these ticks can actually be quite painful. One of the biggest ways you can prevent tick-borne diseases is to locate ticks early and remove them before they have time to cause a severe illness to develop. For instance, it can take 24 to 48 hours for a blacklegged tick to give you or your pet Lyme disease. But it is better to not get bitten in the first place. These tips will focus on preventing tick attachment. Avoid areas where questing ticks hide such as tall grass, hanging plants, ornamentals, and other ground vegetation. Ticks are moisture pests, so they prefer damp vegetation and shaded locations. Create a safe location for your dogs to enjoy the outside. When you fence your pet in, you can keep wildlife from bringing ticks into their outdoor play space and prevent your pooch from exploring damp, shaded locations around your home that may harbor ticks. Remember, your pets are prime vehicles for bringing ticks into your home and onto your lap. Pets aren't the only furry animals that can bring ticks into your home. Rodents can carry them in and spread them to every corner of your home from top to bottom. If you have a rodent infestation, address it quickly to prevent secondary pest threats like ticks, fleas, mites, and more. When you go out into nature, consider putting mosquito repellent on your feet and legs to prevent ticks from climbing up your body. You might look silly tucking your pant legs into your socks, but that can make it harder for ticks to get to your skin. Wear bright colors to help you detect ticks climbing up your pants or on your shirt. Consider routine tick treatments for your yard. Fewer ticks equate to less risk of tick-borne illness. For tick control in Southern Maine, contact the pest control experts at Big Blue Bug Solutions. 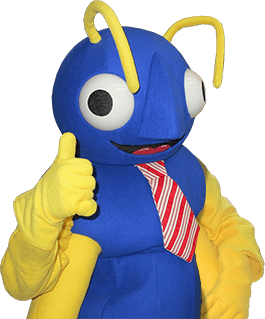 We'll come to take a look at your property for free and help you figure out what pest pressures you're dealing with. Schedule your free inspection here. Should I Still Be Worried About Ticks in Massachusetts, Rhode Island, and Connecticut?